120th The Session about brown ales and in my case, Dungarvan's Dark Mild. 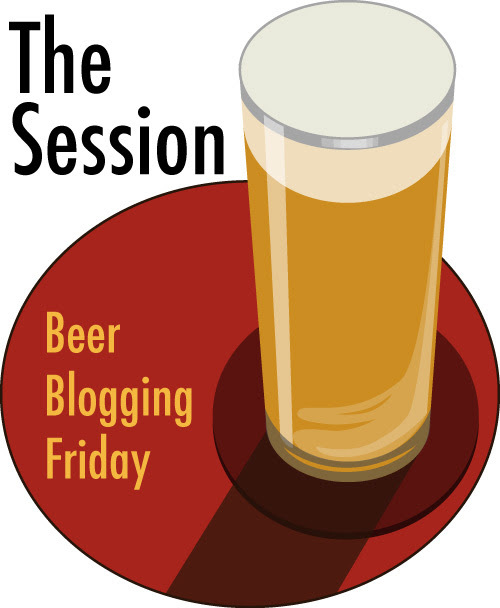 This 120th Session is hosted by Joe over at The Fatal Glass of Beer. He wants us to write about brown beer which gives us a very broad license. 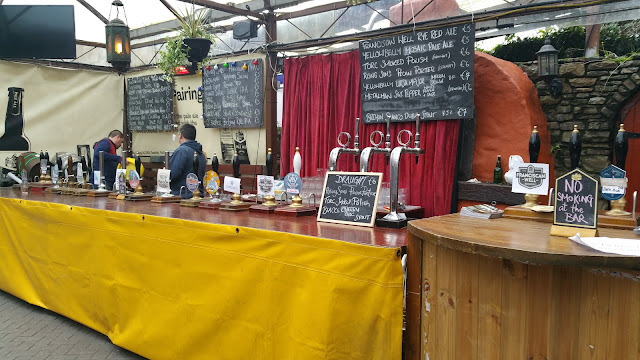 Last weekend, I was running the Beoir Cask Competition at the Franciscan Well: Cask Ales and Experimental Brews festival. It's the only cask-only competition in Ireland that I'm aware of. We don't judge the kegged beer but there was very little kegged beer anyway. There are other competitions for kegged and bottled beers. The standout beer for me which came third overall was Dungarvan Brewing's Dark Mild which you will see on the far right of the above image. It also won the best red/amber category. Here are the full results by the way. The mild is a little thought of style these days and there are very few of them ever released in Ireland. They do make the perfect cask ale though and I find them a little more complex than your average pale ale/bitter but easier drinking than a stout. There's something comforting about a good mild ale. One of my favourite UK commercial examples is Thwaites Nutty Black on cask. It doesn't rate very highly on beer rating websites but then again, do any milds? 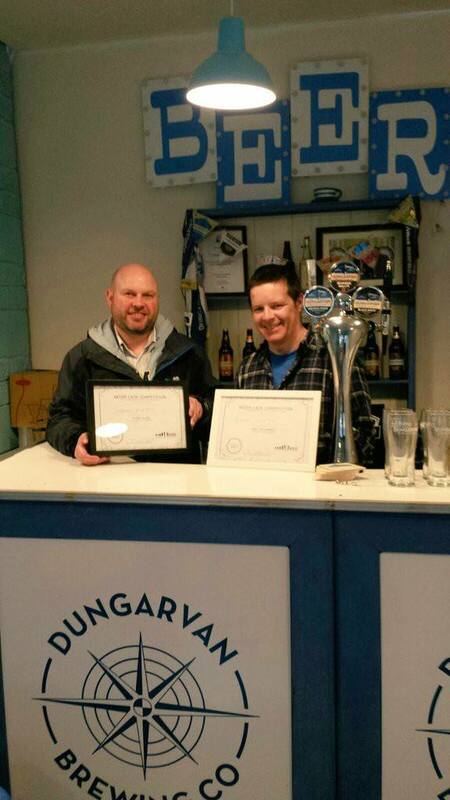 Beoir PRO, Mark presenting the two awards to Cormac from Dungarvan. I drank a lot of the Dungarvan Dark Mild on Saturday and only the chore of having to judge anonymous beers prevented me from staying on that one beer for the whole day with the odd half of the other specials. It's only 3.6% so very sessionable. I did my best to do just that for a few hours after judging though. Yes, the beer is that good! It quickly sold out after the winning announcements were made. So here's to the mild ale, the forgotten middle child of the beer family.